Architects around the world, take into account different important things when designing a home. Selection of material to build window frames is one of these vital things. Although Iron, Aluminum and Wood remain one of the most commonly used window frame materials yet the use of vinyl and fiberglass has gained popularity lately, owing to their benefits and distinctive features. Many qualified and experienced interior designers in Pakistan like AmerAdnan® are making use of fiberglass and vinyl window frames these days in modern homes. Here, AmerAdnan® has explained how fiberglass and vinyl window frames can be a suitable choice for homeowners. As the name implies, fiberglass windows are made out of resin, fibers and glass. These materials show very little expansion and contraction in case of change in environmental temperature, which makes them an ideal choice for all weathers. If you look at luxury homes in Pakistan, you are sure to find that all the complex window frame designs are crafted out of fiberglass. Apart from being used in window frames, fiberglass is also used in the patio doors because of their durability and longevity. Furthermore, the intelligent architects and interior designers in Pakistan make use of fiberglass to replicate the look of wood with veneer windows and doors. The best thing about fiberglass material is it does not require any kind of painting or polishing for the upkeep however, for a change in color and design, it can be painted time and again. Besides everything, the durability and the warmth of wood-like interior are two big features that are ensured by using fiberglass window frames or doors. Vinyl window frames that are primarily made out of PVC offers numerous benefits. These frames are available in many different colors that include white as well as neutral tones. In addition, vinyl windows and doors are also available in light and dark variety. One of the primary advantage of vinyl frames is its virtually maintenance-free. However, it depends on the quality of vinyl used by the manufacturer. The vinyl doors used in patio, terraces and rooftops stays new for years because of their ability to fight all kinds of weather conditions. 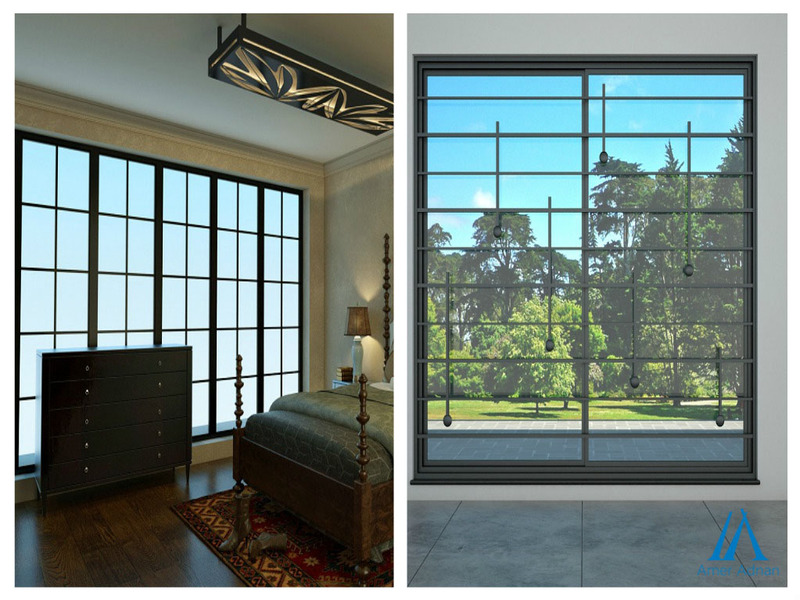 Although the use of vinyl window frames is not very common in Pakistan as yet, but in the foreseeable future, it is expected to be seen in all modern homes across the country. AmerAdnan also recommends use of weather-proof materials for all exterior finishes because of their sturdiness and minimum maintenance in the long haul.